The 1,864 yard long Sapperton Tunnel originally had four airshafts, only two of which now survive. 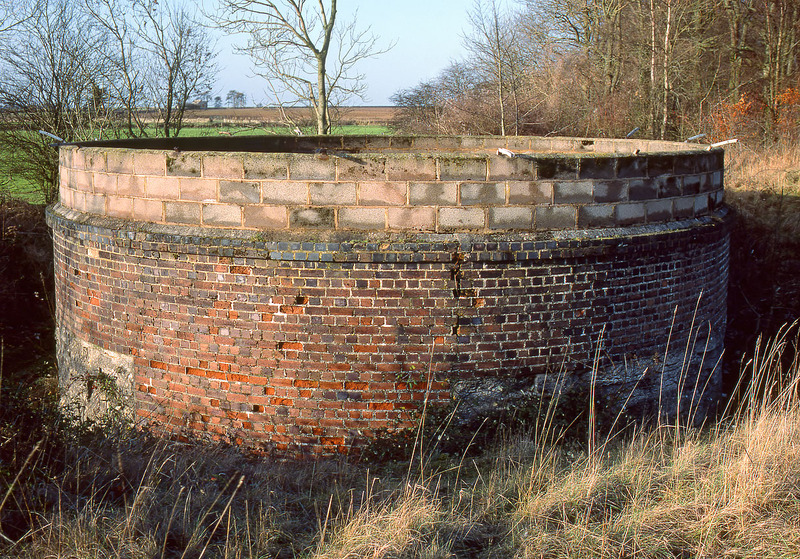 This is the southernmost one, pictured on 26 December 1983. It is rather short, and of quite a large diameter. Obviously there were concerns in the past that it was too short, hence the rather crude breeze block height extension.